A real mark of the interest we’re seeing in what we’re showing here on the GE booth at GTC is the number of return visitors we saw on the second day. They came and had a look around on the first day, and I’m guessing we piqued their imagination—perhaps over a beer in the bar that evening—and they came back to find out more. What we discovered is that, in many cases, they’ve been working on stuff in the benign environment of the lab, putting together and trying out concepts. They’re finding that the theory works; now, they need to deploy it. It seems that the mCOM10-K1 is what they’ve been waiting for—it's really resonating with them. And that’s what it’s all about. Yes, shows can be a lot of fun—very stimulating, very informative, very enjoyable—but what being at a big show like this is all about is finding real, live prospective customers with real, live projects in mind that we can help them with. And that’s where Nick Porter comes in—at least for our customers on the west coast—whose forte is taking a scribbled whiteboard design and turning it into a real, fielded program. Nick’s here with us on the booth. As you can imagine, he’s delighted: Hot prospects are meat and drink to sales guys! Nick’s been with us a number of years, which definitely qualifies him as a GE veteran… He’s a smart guy, too: He got a PhD in radar signal processing and was at one time a government research scientist. However, it seems that, way back when, someone promised Nick a company car if he’d go into sales—and a couple of heartbeats later, he’d gone over to the dark side. He likes cats—but we don’t hold that against him. The other interesting thing (beyond the number of return visitors to the GE booth) is how many people are talking about the proliferation—explosion, even—of real-world data (so-called “Big Data”) being generated by just about any piece of equipment or subsystem you can think of. For traditional processing—other than in huge, pristine data centers with their air conditioning and massive power plants—that volume of data is, simply, overwhelming. It represents, though, a major opportunity—if it can just be processed, analyzed, stored and transmitted to somewhere where it can be turned into real, actionable information that can improve uptime, for example, or reduce maintenance costs. But perhaps it’s not overwhelming any more. The massively parallel compute capability of NVIDIA’s GPU technology can be applied, not just to graphics and video, but to processing data. Did I mention that the mCOM10-K1 provides 326 GFLOPS of processing performance, yet it consumes less than 10 watts of power and can be deployed pretty much anywhere? I probably did… People all too easily talk about “game changing” technologies—but in the case of what we’re doing with NVIDIA, that’s probably no exaggeration. But anyway. As the famous English diarist Samuel Pepys said, “And so to bed.” It’s been tiring—but fun. As a senior product manager at GE's Intelligent Platforms business, Simon Collins exercises his professional passion in identifying, understanding and solving customers’ problems, providing the spark and enthusiasm to bring the stakeholders together. After earning his BSc in microelectronics and computing at University College of Wales and his MSc in advanced manufacturing systems and technology at the University of Liverpool, he joined Radstone Technology—subsequently acquired by GE—in 1997. 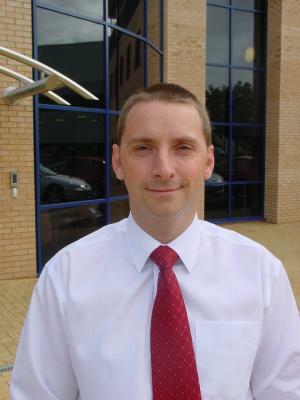 He now has responsibility for a range of rugged video, graphics and GPGPU products.